 Jared D. Shepherd — Hoff Barry, P.A. Jared D. Shepherd practices in the areas of municipal government, business law, and general civil litigation. His municipal practices focuses on civil litigation and advice on day-to-day municipal operations, including land use planning, zoning, code drafting and enforcement, contracts, and constitutional issues and civil rights claims. Mr. Shepherd also represents private individuals and small and medium-sized businesses in a variety of areas, including business transactions, employment issues, and general civil litigation. Mr. Shepherd has extensive litigation experience, which includes representing plaintiffs and defendants in state and federal courts, in a variety of civil matters, including civil rights and commercial litigation. Mr. Shepherd has successfully argued dispositive motions on behalf of plaintiffs and defendants to resolve cases without trial and has litigated cases through trial and appeals in state and federal court. Mr. Shepherd has experience counseling clients through every step of the litigation process. Mr. Shepherd has an active pro bono practice, including representation of individuals seeking asylum in the United States. Mr. Shepherd was recognized by the Minnesota State Bar Association as a North Star Lawyer, for providing more than 50 hours of pro bono service to low-income individuals in 2016 and 2017. Prior to joining the firm, Mr. Shepherd traveled extensively in the United States and abroad. Mr. Shepherd worked as Law Clerk for the The Honorable Anna M. Moran of the Kenai Superior Court in Kenai, Alaska and a Law Fellow at the American Civil Liberties Union of Alabama. He also served as a U.S. Peace Corps Volunteer in the Republic of Armenia and a legal intern at Zimbabwe Lawyers for Human Rights in Harare, Zimbabwe. Mr. Shepherd has been interviewed on legal issues in local and national media, including radio, television, and online publications, such as Mother Jones. He has presented on municipal law topics at Continuing Legal Education seminars. Mr. Shepherd has published in local newspapers and legal journals. He is the co-author of ‘In Land We Trust’: The Endorois’ Communication and the Quest for Indigenous Peoples’ Rights in Africa, 16 Buff. Hum. Rts. L. Rev. 57 (2010).